Between landline phones and cellular devices, consumers are receiving more and more unwanted calls. Most of them are not even from human beings. And, some of them are scams trying to trick you into giving out personal information. If you answer the phone and hear a recorded message instead of a live person, it's a robocall. Internet-powered phone systems have made it cheap and easy for scammers to make illegal sales robocalls from anywhere in the world. It also lets them hide from law enforcement by displaying fake caller ID information. Below, in more detail, are the options listed above. See which meet your needs the best. Call blocking apps let you create blacklists – lists of numbers to block from calling your cell phone. Many of these apps also create their own blacklist databases from numbers that have received significant consumer complaints and some even use complaints to the FTC as a source. They also let you create whitelists – numbers to allow – that are broader than just your personal contacts. Some mobile apps let you choose which types of calls you want to block. For example, you might block all calls except contacts, or all calls except your contacts and numbers on a whitelist that you have created. Some apps offer additional features: reverse call look up, providing data on incoming numbers (like community-based reviews or data about the number from a search engine), blocking unwanted texts, logging the number of calls received from a number, and silent ringers for unknown callers. Some mobile apps give you choices about how to respond to an incoming call. For example, you can send a prewritten text message to the caller or file a complaint with the Federal Trade Commission. And some apps let you block calls based on the geographic location or area code of the incoming call. Many mobile phones come equipped with features built into the device that can block calls from specific numbers. These features can let consumers block specific contacts, identify unwanted incoming calls for future blocking, and set “do not disturb” hours. You must manage these lists on your own, and the device may limit the number of calls you can block. Since these features are built into the phone’s operating system or come pre-installed, you may not need to download an app unless you want some more sophisticated features, like tapping into a database of blacklisted numbers. Cloud-based services can block unwanted calls for mobile phone lines or phone lines that operate over the internet, like phone service provided by a cable company. Your carrier may give you information about a cloud-based service operated by another company. The service might be a mobile app or a service that requires you to register your phone line. Cloud-based services reside on large, shared computer systems that can collect data from lots of users and use it to build crowd-sourced blacklists. These services rely on accessing your call data to add to their databases. Some cloud-based services and mobile apps require all calls to be routed through their service, where they are instantly analyzed. You may have choices about how unwanted calls are handled – for example, they might ring silently, go straight to a separate voicemail, or go to a spam folder. Some cloud-based services are free and some charge a monthly fee. Devices that block unwanted calls can be installed directly on a home phone. Some devices use blacklist databases of known spam numbers and allow you to add additional numbers to be blocked. Other blocking devices rely on you to manually create and update your own blacklist. Some devices divert the call after one ring, and some show a blinking light when an unwanted call comes in. 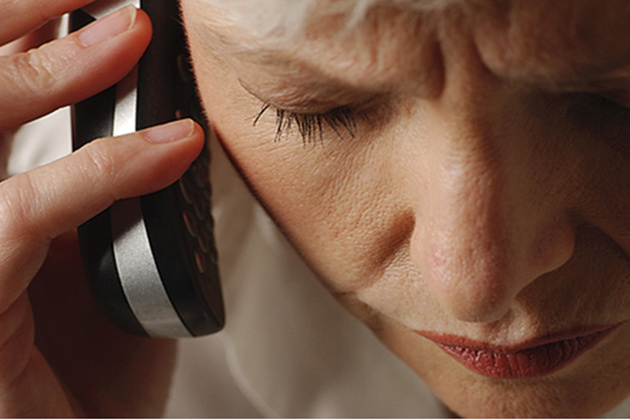 Other devices connect the unwanted caller to a recording with options that allow legitimate callers who were mistakenly blacklisted to ring through. You may consider using services provided by your phone service carrier. Carriers typically have solutions for all phones – landline, cable, internet and mobile devices. Many carriers allow you to block between 10-30 numbers, but you are responsible for identifying the numbers to block. Robocallers frequently shift the numbers they use, so the robocaller may still be able to get through by changing the number they use. Many carriers also allow you to block calls from anonymous callers – those who prevent their phone number from appearing on a CallerID device, or whose number shows up as “ANONYMOUS” or “PRIVATE.” But robocallers often show fake numbers on your CallerID. Some carriers also offer services that allow you to block calls or divert them to voicemail for periods of time. This lets you set up quiet or “do not disturb” hours. Federal Trade Commission: Blocking Unwanted Calls and How Does a Robocall Work?